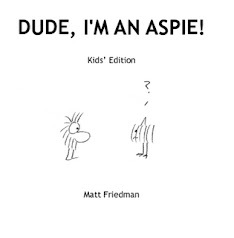 Dude, I'm An Aspie. : Tourettes Karaoke: Is It OK To Laugh? Tourettes Karaoke: Is It OK To Laugh? Tourettes Karaoke is the latest viral video making the rounds. Guy, the star performer, tarot card reader, poet, etc., has high functioning autism as well as Tourette’s. His obscentity-laden take on REM’s “Losing My Religion” is a riot. And, it raises questions both uncomfortable and important. The most basic question: Is it okay to laugh? I know I did. Guy seems to be giving us an open invitation to do just that. Is there any doubt he’s in on the joke? His choice of “Losing My Religion” for his interjected f-bombs makes for a brilliant skewering of this oh-so-self-important REM hit. Here’s someone who sees the humor in his hardship and a purpose in putting himself on display. The Osocio blog, which showcases noteworthy non-profit marketing campaigns, theorizes about that purpose. 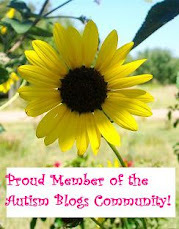 Blog author Marc van Gurp says Guy deserves respect for what he’s doing. He argues Tourettes Karaoke will reach a larger audience than any professional awareness campaign about Tourette’s. 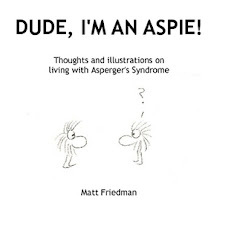 If that audience sees Tourette’s -- and autism -- humanized through Guy’s self-deprecating humor, perhaps it will lessen their fear and increase their compassion for those affected. But maybe, you’re thinking, no, this is offensive. Just another idiot. Part of the problem, by encouraging us to laugh at the disabled. But if you do believe that, then is Guy any worse than the countless neurotypicals out there who subject us to their awful karaoke for yuks? (William Hung, anyone?) Hasn’t he got a right to make a fool of himself too? After all, he is as much a flawed human as any of us. Now if it were an intellectually disabled person doing this, things would be different. Laughing would not be okay. Even Vote For the Worst draws the line at criticizing the American Idol rejects who are clearly lacking in intellectual faculties. And where does autism fit into this? 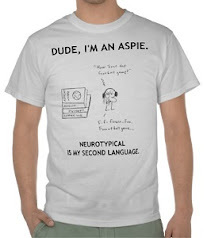 Tourette’s is Guy’s visible disability here, and it’s the tics that tickle the funny bone. There’s a reason it’s not called Autism Karaoke. But it doesn’t mean some fearless autistic couldn’t do what Guy did, and produce their own better-than-the-original REM cover. How about karaoke with stims? I’ve personally never been one to make jokes at my expense, and I confess have trouble understanding what motivates others to do it. I feel a bit uncomfortable for Guy, and yet I do find him entertaining, and deserving of respect, whatever his motives. I think it is a healthy and humanizing thing to laugh at ourselves. More often than not, we get our guard up in response to differences – we discriminate, ridicule, or just walk on eggshells. Laughing along with those who are different, rather than at them, disarms our fear. So go ahead. Laugh. It’s okay. You pose the point, "[b]ut maybe you're thinking 'No, just another idiot'". I think anyone who dismisses Guy as an idiot is doing him a disservice. Like you say, he is clearly in on the joke and is mentally competent enough to understand what he is doing. Add to that, he can carry a tune, unlike some "singers" at karaoke night. Agreed, Julian, he is a decent singer! Check out his baritone on the Crash Test Dummies' "Mmm Mmm Mmm Mmm." of course he's in on the joke, he MADE the joke up.....i don't feel uncomfortable at all. i wish i could go sit on the bed with him and sing the harmony of it ( f*cks included)... brave and awesome! I don't feel uncomfortable with these things. As long as things like this are done in good taste, like this. Someone with Tourettes used it to be humorous. I will reference something relatively new: Family Guy. I know some people hate it, but hold on. Michael J. Fox has multiple references in the series. The first, where he apparently played the part of Zorro, with a scribble on the wall, is okay. It was funny and wasn't offensive. However, a later episode just had this bit on how they are trying to be courteous, but end up just showing a clip of him shaking and spilling a drink was not only unfunny, but also highly insulting. Know the difference, there is a line that isn't always as clear-cut at this one. I also know that this is around two years after the original post. Guess Which Hand I Draw With?